The chicken we had for dinner tonight was good, it tasted like the Teriyaki Chicken you would expect, but the sauce on its own was outstanding. I made the sauce at lunch today and had to deal with the memories the sweet and savory flavor of it all afternoon. It was most tasty. So the grilled part was easy throw it on the grill directly over some hot coals just long enough to get sear marks on both sides and then it was off to the other side of the grill to slow cook them to perfection. The Teriyaki Sauce from scratch was almost as easy as grilling the chicken breasts, once the sauce was made I marinated the chicken in it for a couple of hours before grilling. Combine all ingredients except water and corn starch in a small sauce pan. Combine corn starch and water separately from the rest of the ingredients. Mix both together in the sauce pan and heat over medium heat until it reaches a boil. Remove from heat and use immediately or refrigerate and save for later. This stuff is good, its really good. I am thinking some Teriyaki Jerky might make an appearance this weekend. 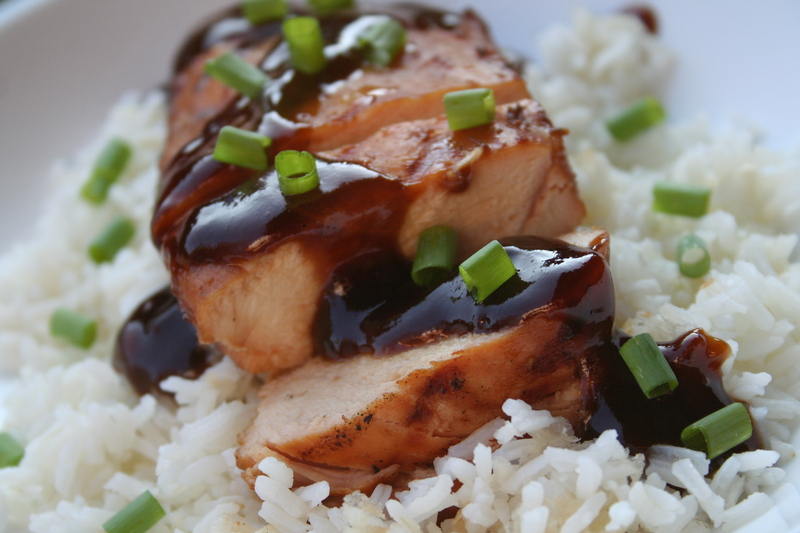 Isn’t it awesome to be able to make your own Teriyaki Sauce for your Hawaiian Chicken recipe. I always tell friends, why buy when you can easily make your own. It looks like it came out great, and great photograph too! Make ME hungry! It came our way better than that stuff you buy at the store.